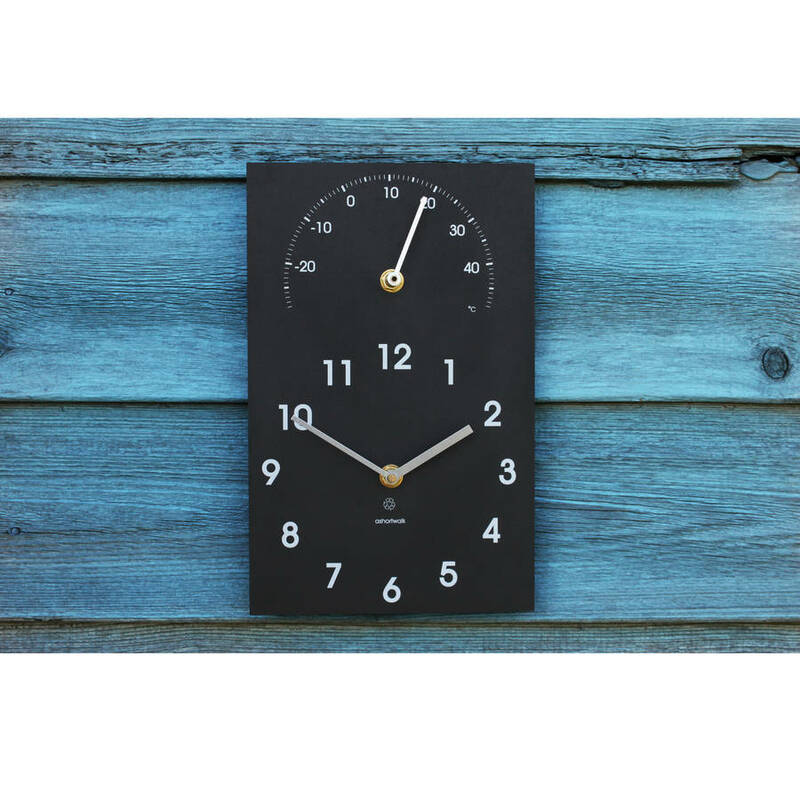 An outdoor clock and thermometer made in the UK from recycled paper. An ideal gift! 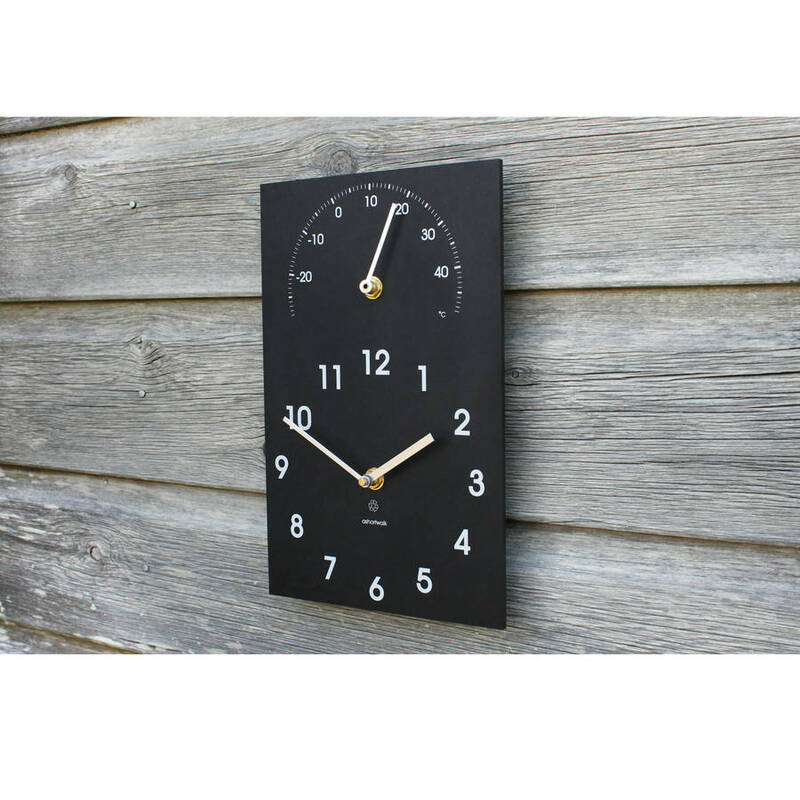 The Clock/ Thermometer combination clock is the perfect accessory for your home or garden. 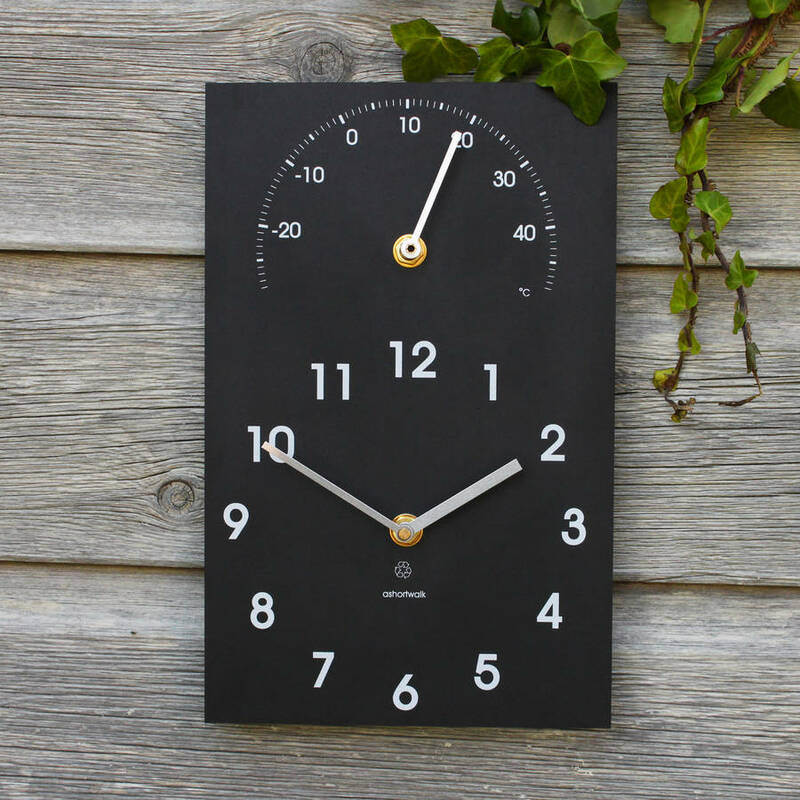 The clock is designed to be completely weatherproof, making it ideal to measure the temperature in the garden on those hot summer days, or more likely to determine just how cold it really is! 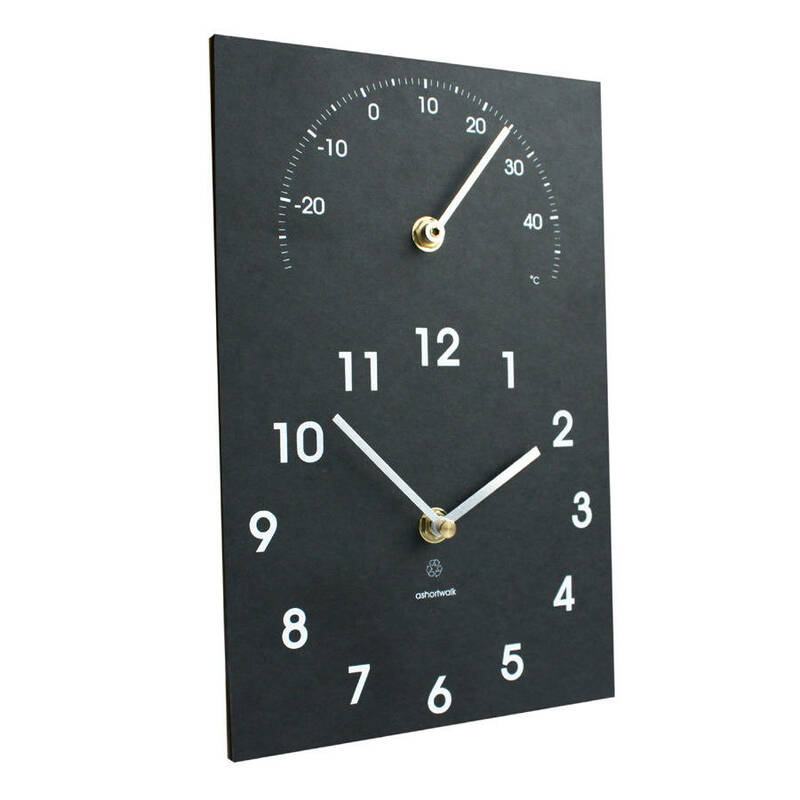 Made from recycled paper packaging, the material has a very solid, robust slate-like look and feel in black. 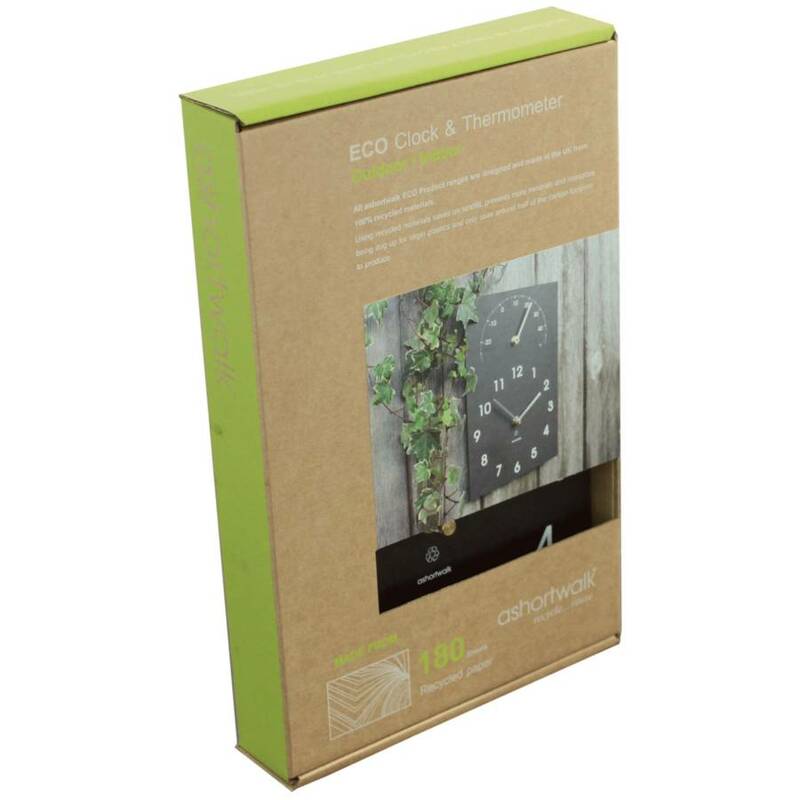 This is a great eco-friendly gift for any environmentally conscious family member or friend. 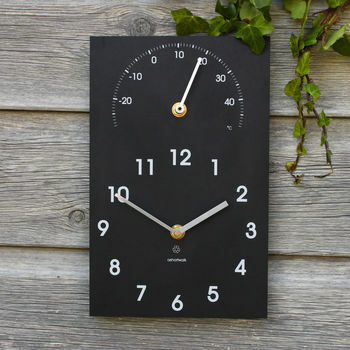 The clean and high contrast design makes it easy to read from the far end of the garden. Requires 1 x AA battery. Batteries not included.